I AM A PSYCHOTHERAPIST, CERTIFIED SOMATIC EXPERIENCING PRACTITIONER, EDUCATOR AND CONSULTANT who helps people shift from past patterns that no longer serve, so they can live fully and joyfully in real time. During each therapy session, I offer my steadfast presence, strong intellect, deeply honed intuition, extensive clinical training, and profound love and care for people. Having strengthened my intellect and intuition as a means to cope with childhood trauma, I sought and obtained a Bachelors of Science in Environmental Studies from the University of Vermont. Upon receiving academic credentials, I chose to move to the state of Washington to focus on learning from the earth, my most profound teacher. It was while working on an organic vegetable and fruit farm sixty hours per week that I experienced nonmaterial reality and discovered my innate healing abilities. It has been and continues to be my life path to bridge lessons gleaned from intellectual teachings with those I have received from connecting with this multi-dimensional existence. I have studied and have been practicing energetic healing, Somatic Experiencing and other body-based modalities for the past two decades. 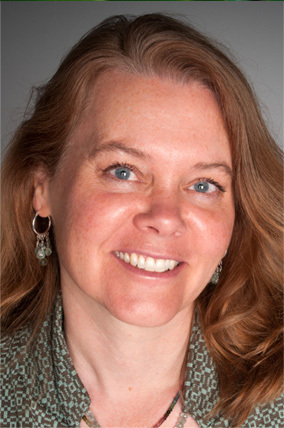 I was an Associate Professor at California Institute of Integral Studies in the Somatic Counseling Psychology, Integral Counseling Psychology, Integrative Health Studies, and Community Mental Health Departments from 2011-2016 and was an Assistant Clinical Director at the Community Institute for Psychotherapy in San Rafael, CA from 2013-2015. From 1998-2003 and 2016-2018 I was a senior faculty member at Barbara Brennan School of Healing in Florida. Combining psychodynamic, somatic, and transpersonal approaches, I work with families, couples, adolescents, adults, and groups, as well as with MFT interns. Certified as a Girls Circle Facilitator and Parent Project Workshop Leader and well versed in Parent-child Interactive Therapy, I support adolescents and pre-teens on their journey to selfhood as well as those who parent them. A passionate educator, I design courses in the areas of somatic approaches to mindful psychotherapy, communication, and clinical relationship. I love to dance, sing, kayak, experience live music, write and read poetry, hike, and spend time with loved ones.